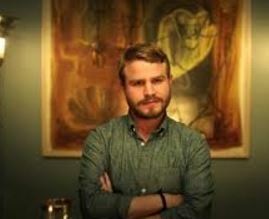 Brady Corbet, an Indie actor whose work I’ve admired and followed, suddenly has done a 360, while still in his 20s and directed his first film, the ultra-creepy psychological horror film “Childhood of a Leader.”And I’m predicting after seeing this rather unforgettable, and unclassifiable thriller, he’s going to go on to direct more, much more. A dedicated cinephile, who lives in New York and Paris. This film is partially in French and is very European in its’ dark, unsettling sensibilities. It calls to mind “The Bad Seed” in its’ unrelenting look at the horror a child can wring on his (or her) family. Although the child Prescott ( Tom Sweet) in this movie, is not ever smiley faced and isn’t really deceptive, he’s out front and unrelenting in his hostility to his parents, his father, Liam Cunningham, who is an American and his European wife a terrific,nuanced Berenice Bejo. This is sort of grand allegorical fantasy of what would Hitler have been like as a child, if he was from a privileged Upper Class Franco -American diplomatic background. Based loosely on a short story by Jean Paul Sartre, Prescott seems to be a tiny Hitler through and through. And his sympathetic parents seem totally at a loss as to what to do with him. It’s gripping, I’ll say that much and the wonderful Berenice Bejo is incredibly sympathetic and also coldly repellant in the role that is simply called “The Mother.” The film seems to be saying that all of Prescott’s(and later the free world’s) problem are a result of Mom. 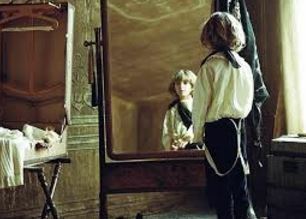 “Childhood of a Leader” has already won Best Director and Best First Film for Brady Corbet when it premiered at the Venice Film Festival last year. And I think Corbet is going to go on to win many, many more accolades in this chosen career either as a director or an actor.Keep an eye on him.